With history written all over its streets, Europe is a continent with the most vibrant culture and tumultuous history that attracts millions of tourists from all over the world. Be it the famous Gustave’s Eiffel Tower in Paris or the ruins of the Colosseum in Rome; Europe draws people like a magnet.There are many places to visit in Europe, and every country within it has something different to offer amidst a diverse culture. Right from wild to elegant; the nations of Europe bring together a kaleidoscope of visual treats and cultures that are as interesting as their past. You can visit the most iconic structures in the countries, or you can just stroll along the streets of a random city to fall in love with the place. Roam around Europe, and you will feel bad for not being born as a European. Its beautiful countries, scrumptious meals and heartwarming hospitality will make you feel like you are home! 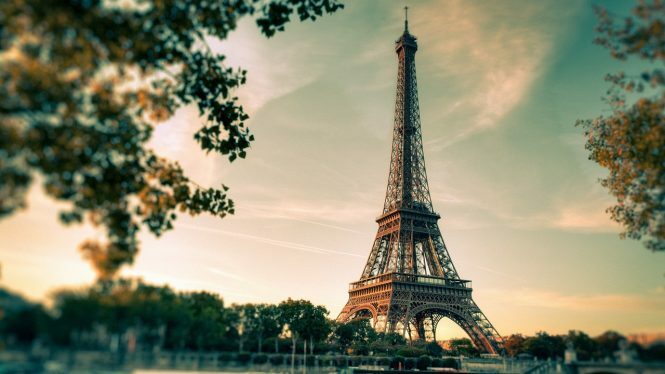 Take a look at the world’s best man-made wonder, the breathtaking Eiffel Tower. This is one of those attractions that features in every one’s bucket list of places to visit in Europe. Distance from Airport: Charles de Gaulle Airport is the closest to the Eiffel Tower in Paris. It will take you around 30-40 minutes to reach Eiffel Tower from the Charles de Gaulle Airport. Best Time to Visit: If you want to get a better view of the spectacular city of Paris, then you may visit the Eiffel Tower during the daytime. The ideal time, however, is considered to be the sunset time when you can get a fantastic view and get down to witness the entire tower lit up in lights for about 10 minutes. The look at this point is surreal! Must Try: Make arrangements to stay for the night view of the tower, you are sure to enjoy it! How much time to spend: You can spend a happy 3-4 hours to reach the top of the tower, get the views, and descend. Operating hours: The Eiffel Tower will be open from 9:30 am to 11 pm from Sunday to Thursday and 9:30 am to 12 am on Fridays and Saturdays. Approximate cost for two: It will cost you INR 1600-4000 approximately for two people as entry fee for the Eiffel Tower. The Eiffel Tower is one among the Seven Wonders of the World, and it is a visual treat to watch. This tallest building of the world will make you want to turn your heads even after you have witnessed it for hours together! It is magnificent that way. This place is a must among your list of places to visit in Europe. This beautifully crafted Greek structure is nothing short of a wonder ranks high in our list of places to visit in Europe. Distance from Airport: The Athens International Airport is the closest to the Acropolis of Athens. You can reach the place from the airport in around 30-40 minutes with regular traffic. There will be many taxis and metro buses from the airport that lead directly to the Acropolis. Best Time to Visit: The best time to visit Acropolis will be around the morning before 9:30-10 am, as a large group of visitors will be arriving during that time. 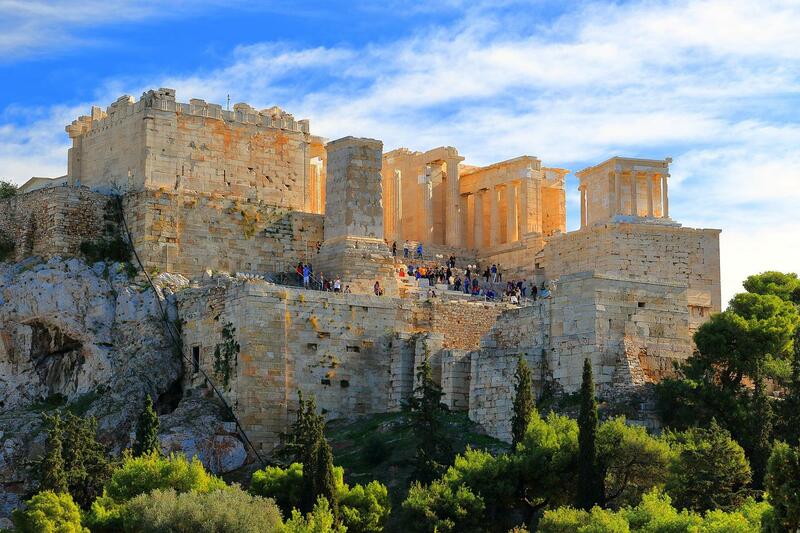 8:00 am to 8:15 am will be the perfect time to queue up near the Acropolis to avoid the crowds. You can also go late around 6 pm to get some spectacular views of the buildings during the dusk. Must Try: Go for the open-air terrace lunch offered by the Museum. How much time to spend: You need to spend a minimum of 3-4 hours to get a private and personalized view of the masterpiece. Operating hours: The Acropolis Museum is open from 9 am to 5 pm from Monday to Thursday; to 10 pm on Fridays and 8 pm on Saturdays and Sundays during the winter season. While the summer season; the museum will be open from 8 am to 4 pm on Mondays, until 8 pm from Tuesday to Thursday, 10 pm on Fridays, and again until 8 pm on Saturdays and Sundays. Approximate cost for two: It will cost you INR 800-1000 approximately as entry fee for two people. This beautiful Greek structure in the places to visit in Europe is a significant part of their history with many statues and things that represent the glorious Greek history. You won’t regret visiting this place! Recommended Read: Which honeymoon destination is the best for you? Located in the beautiful city of Barcelona, Sagrada Familia is an under-construction architectural wonder since 1882. Initially planned by the famous architect Gaudi, the church of this giant structure is a beauty in itself. 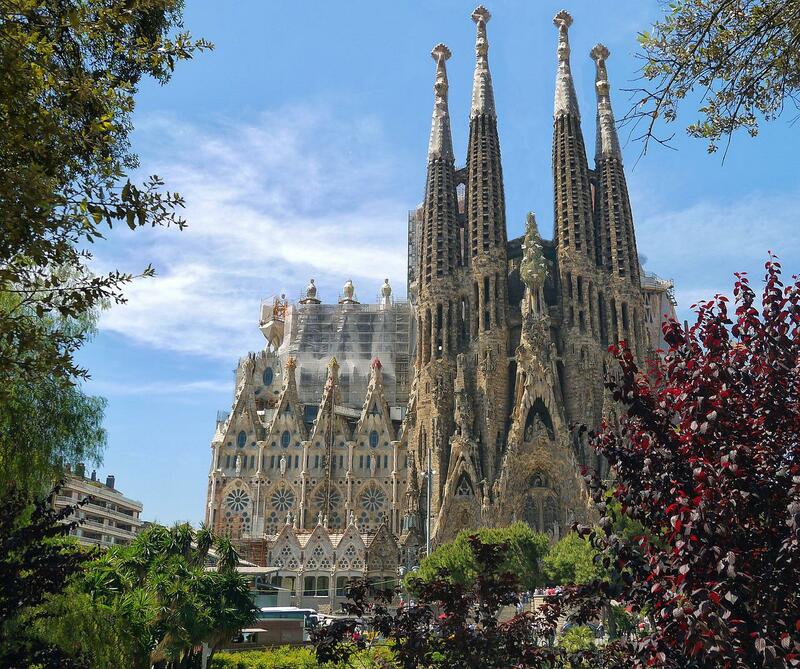 Distance from Airport: The Barcelona-El Prat Airport is the closest to the Sagrada Familia. It will take you around 20-30 minutes to reach the destination from the airport if you take a taxi or a metro. Best Time to Visit: The place is crowded almost all the time. Hence, you can pay a visit whenever you feel comfortable. Must Try: The view from the towers of Glory facade is mesmerizing and memorable! How much time to spend: You can spend a good 2-3 hours to have a broad insight into the entire place. Operating hours: It is open from 9 am to 8 pm. Approximate cost for two: It will cost you INR 2000-2500 approximately per person for the entire tour. The entry fee, however, is free. This incomplete architectural wonder is expected to be completed by 2026. In the meantime, pay a visit to it and make yourself a part of its construction history. If you spend one minute gaping at one painting, it is believed to take 24 days to get a look at all the arts inside this museums! Distance from Airport: Charles de Gaulle Airport is the closest to Louvre Museum, and it will take you around 30-40 minutes approximately to reach from the airport. Best Time to Visit: Any time is the best time to visit this museum. Must Try: Take a look at the famous painting of Mona Lisa by Leonardo da Vinci. How much time to spend: You can spend 3-4 hours to get a look at all the paintings in a swift. Operating hours: It is open from 9 am to 6 pm on Sunday, Monday, Thursday and Saturday. 9 am to 10 pm on Wednesday and Friday. Closed on Tuesdays. Approximate cost for two: It will cost you 800-1200 approximately for two people. This place is a plethora of paintings and small size heaven for all the lovers of art. Also Read: Wondering Where To Go On Your First Europe Trip? If you visit Edinburgh, make sure you don’t miss this beauty. 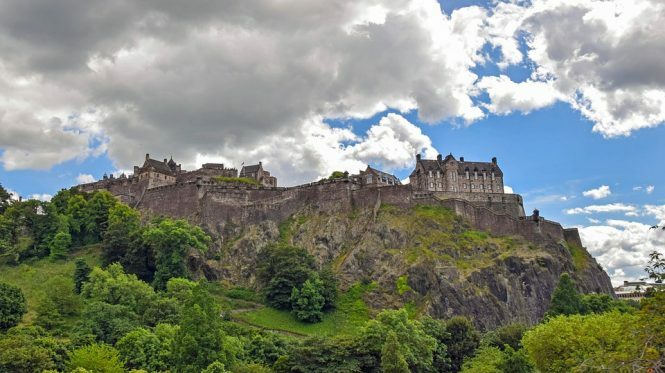 Distance from Airport: Edinburgh Airport is the closest to the Edinburgh Castle, and it will take you a maximum of 20 minutes to reach the place from the airport. Best Time to Visit: Mornings are usually the best time to visit this place, as you can get a better view of the surrounding. The sunsets are not a bad idea either! Must Try: Try and visit the place during its seasonal festivals. How much time to spend: You can spend a good 2-3 hours to get a good look at this wonderful construction. Operating hours: The Edinburgh Castle runs from 9:30 am to 5 pm every day. Approximate cost for two: It will cost you INR 1600-2500 approximately for two people, depending on their age. This is one of the best castles of Europe which will remind you of the ancient Scotland history. All the lovers of history must visit it! Words will fall short to explain the beauty of this small slice of the European continent. You have to see it for yourself! Distance from Airport: Rome Ciampino Airport is the closest airport to the Vatican City. It does not have an airport of its own. It will take around 30-40 minutes to reach the Vatican City central from the Rome Ciampino Airport. Best Time to Visit: The best time to visit Vatican City can be during the winters when the entire city is covered in gorgeous snow. 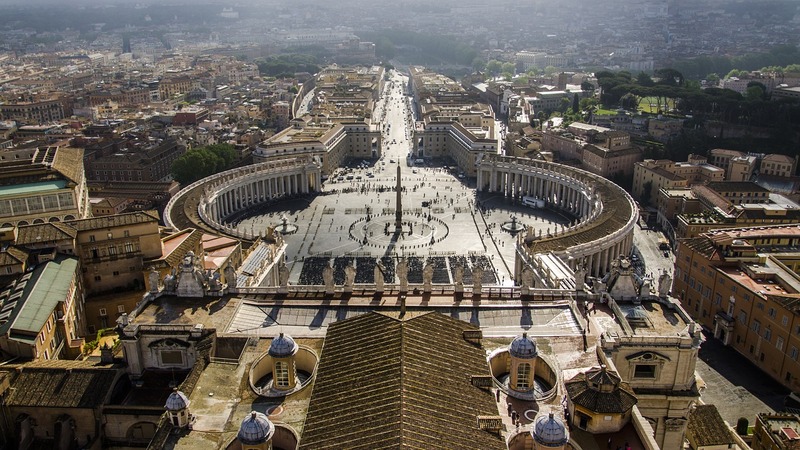 Must Try: St. Peter’s Basilica is a must visit place in the glorious Vatican City. How much time to spend: You can spend as much time as you want in this beautiful city. However, 3-4 days would be ideal for covering all the essential places. Operating hours: It is open throughout the year. Approximate cost for two: There is no cost for entering the Vatican City. However, flight charges might be applicable depending on from where you are travelling. Trip Advisor rating: The Trip Advisor gave a rating of 4.5/5 for the gorgeous town of Vatican. This place is a real beauty in itself. Like stated before, it is nearly impossible to explain the beauty of this place in words. You need to experience it, to know it! The largest amphitheatre ever built in the Roman Empire is the Colosseum, which is situated in the centre of Rome. This beautiful Roman architectural wonder can accommodate more than 500,000 people. 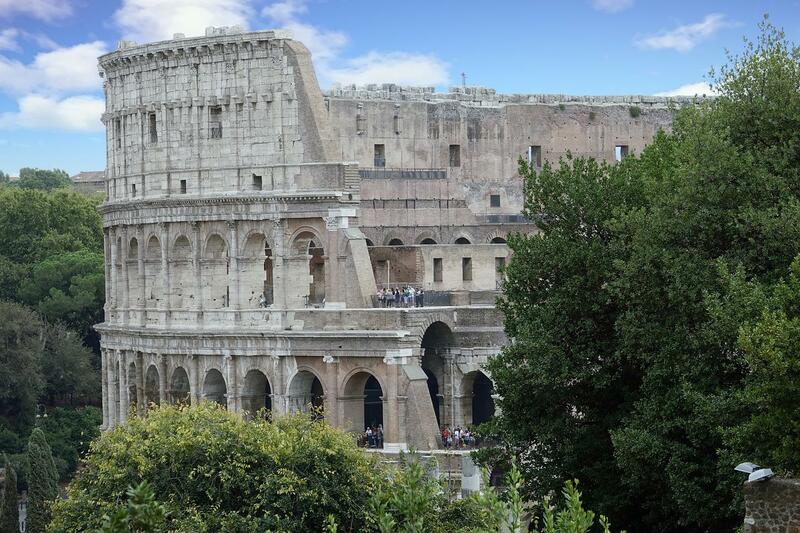 Distance from Airport: Rome Ciampino Airport is the closest to the Colosseum. It will take you a rough 20-30 minutes to reach the place from the airport by a taxi or a metro. Best Time to Visit: Mornings are usually the best time to visit, as you can get a good view of the architecture of this place. How much time to spend: You can spend a good 2-3 hours strolling along its hallways, and grab a meal nearby. Operating hours: The Colosseum is open from 8:30 am to 7 pm every day. Approximate cost for two: It will cost you 1200-1400 approximately per person as an entry fee to the Colosseum. This beautiful architectural wonder was previously used for witnessing gladiator shows. It is a true reflection of the glorious Roman history, which will leave you gaping at its construction and architecture. Colosseum is a must among your list of places to visit in Europe. Don’t miss it! 1. What are the must-visit places in Europe’s Rome? 2. What is unique about the Vatican City? This place is a literal home to the Pope and is a plethora of legendary art and architecture. The city hosts some museums along with many churches that reflect the real beauty of the Roman design. It is surrounded by the beautiful Rome and is famous for the Michelangelo’s ceiling. 3. What time does the Eiffel Tower light up at night? The Eiffel Tower is lit every day from evening to 1 am and until 2 am during the summers. There is a tiny lighthouse at the top of the tower that sends out light beams too, at the same time. However, the glimmering light show lasts for 10 minutes during the first five minutes of each hour. The view is absolutely surreal, and will sparkle your eyes! 4. What are the best structures to visit at the Sagrada Familia? There are two towers at the Sagrada Familia; Nativity and Passion. Nativity is considered to be a better choice as you enter a bridge that connects both the towers. It is a beautiful sight to witness. However, on the other side, Passion tower give you views of the constructions happening in the central tower of La Sagrada Familia. 5. What is the number of paintings present in Louvre? The Musee du Louvre is a home for more than 380,000 articles and 35,000 works of arts in about eight curatorial departments, which make part of the permanent collection. 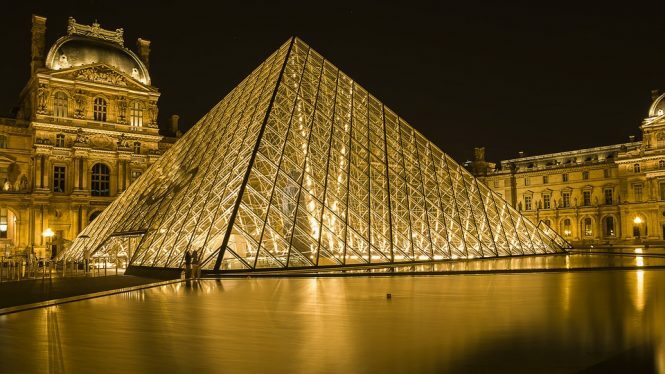 The Louvre museum is a plethora of sculptures, paintings, objets d’art, and archaeological findings. It is also the home for the famous painting of Mona Lisa since 1797. Mona Lisa, made by Leonardo da Vinci, is regarded to be the most beautiful woman ever painted. This museum should definitely be on your list of places to visit in Europe. Our Europe tour packages ensure that you have the best time in Europe. Very nice write up .I am so happy to say that I have seen n been to all these wonders except the Acropolis which I will see this year or early next year.But one must visit these places for sure.